Our Pet of the Week is Hastings! When 10-year-old Hastings was first rescued, there was no idea of the awesome kitty personality that existed beneath his beautiful exterior. Sure, he was a looker, but he was stoic, grumpy, and he didn’t like to be handled. But, with just a little TLC, we’ve seen a world of difference! Hastings has turned out to be very loving with humans, great with other cats, and is super friendly with dogs! This senior boy even displays kitten-like qualities when it’s time to play with a toy mouse, a wand toy, or really any other fun feline plaything you toss his way! Hastings is FIV-positive, so like any cat, he will need regular vet checks to ensure he lives a long life, but we expect him to be both happy and healthy in his new home. 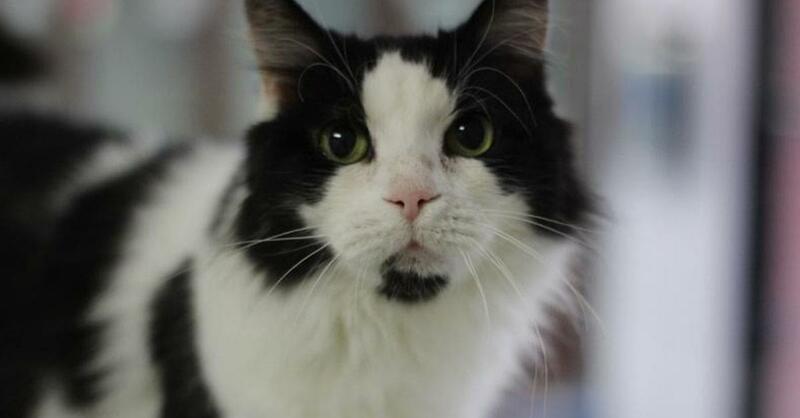 So, if you’re in the market for a just a fabulous and fluffy kitty, come visit Hastings down at Second Chance Pet Adoptions, or learn more about him at SecondChanceNC.org! Apply to adopt Hastings! Fill out an adoption application today!